New raised crosswalks have been installed on Dalhousie Drive, in front of Ryerson School. 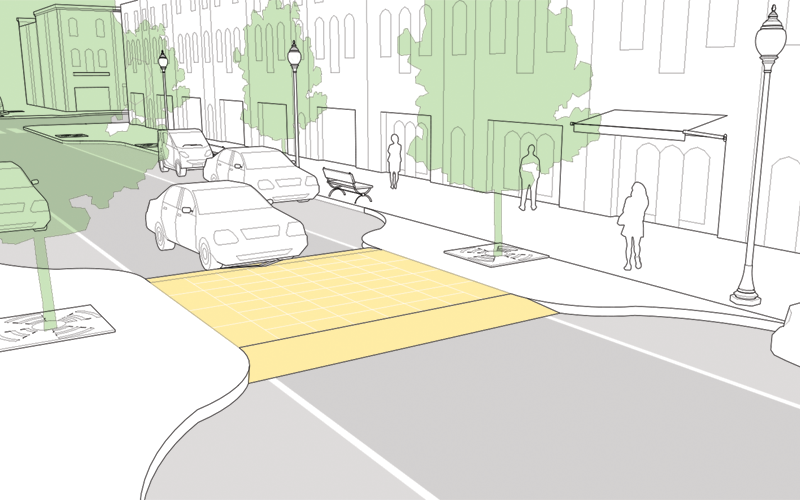 These crosswalks are NOT speed humps, but are somewhat similar in nature. They are wider and not as high, painted to be noticeable, and can accommodate Transit buses. 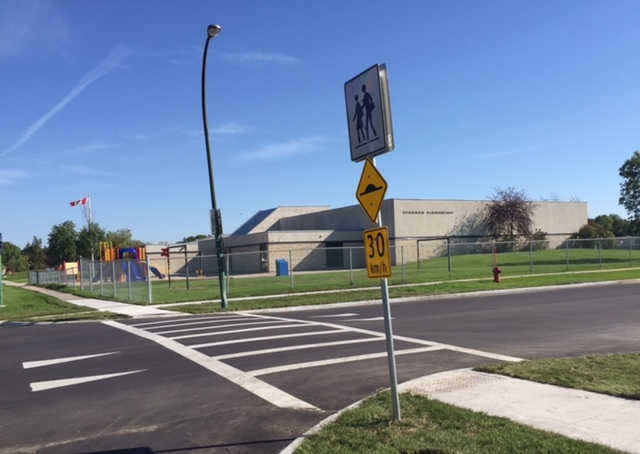 The raised crosswalks are designed to encourage motorists to reduce their speed, and in this particular location, to reduce speed in front of a school located on a bend on Dalhousie Drive. The double raised crosswalks are the first of their kind to be installed in the City of Winnipeg. 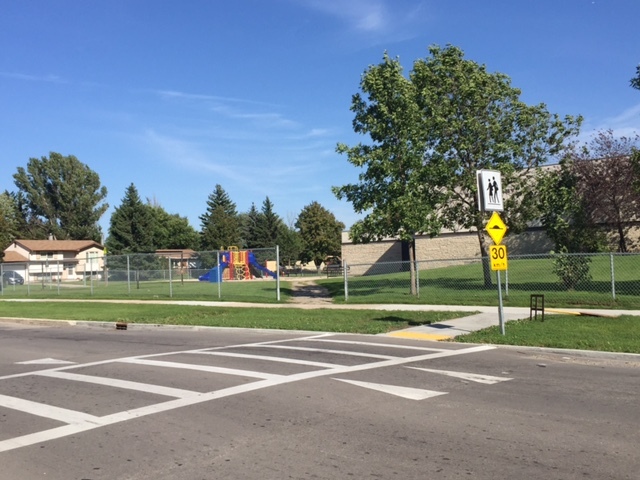 This new traffic calming device is a result of the 2-year “Active and Safe Routes to School” study that Dalhousie School, Ryerson School and Ecole St. Avila participated in. The City of Winnipeg Traffic Department will be monitoring these devices for effectiveness. The ‘build environment’ (changing existing roadway conditions) is a more effective way to calm traffic than enforcement. I’m very pleased to support the safe routes to school initiatives, and am interested in receiving your feedback on these devices. Please E-Mail me at jlukes@winnipeg.ca with your comments.